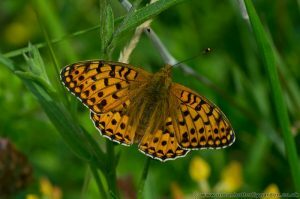 Found in most counties of England and Wales the Dark Green Fritillary is the commonest and most wildly spread of all the Fritillary butterflies, even being found in the far north of Scotland and the Orkneys. 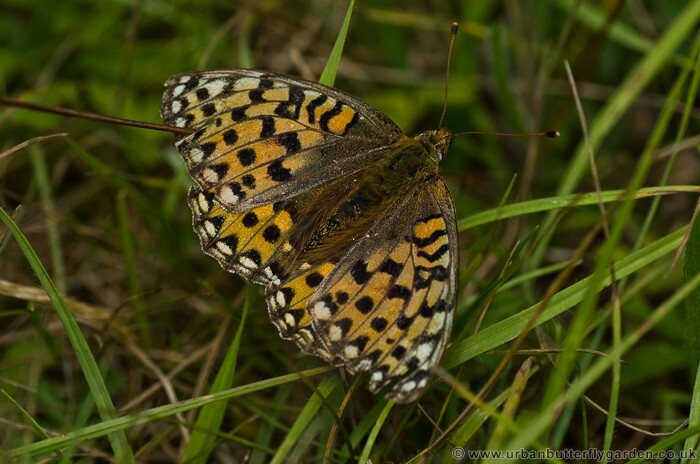 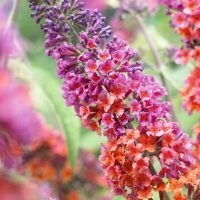 It is often found around the coastal dunes, with the largest numbers to the west of the country, when found inland its habitat can include Grassy flower-rich meadows, Downs, Quarries, Open woodland and Embankments. 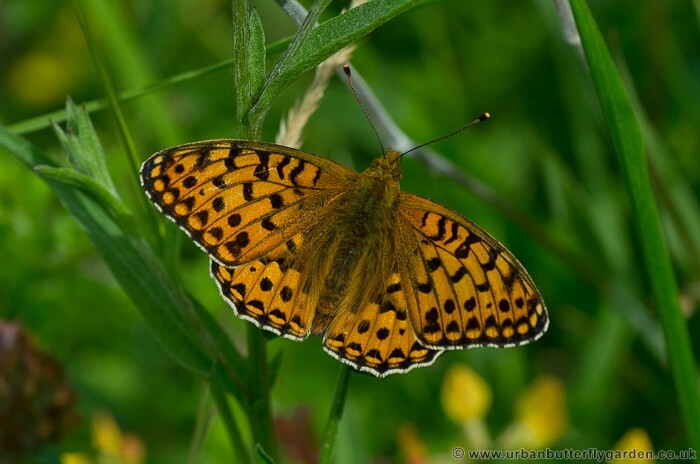 Habitat: Coastal dunes, Grassy flower-rich meadows, Downs, Quarries, Open woodland, Embankments. Caterpillars feed on: Common-dog Violet (viola riviniana), Marsh Violet (Viola palustris). 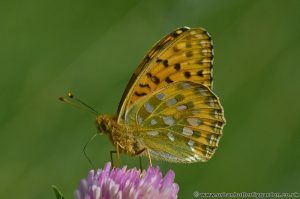 On the wing from July into August the Dark Green Fritillary is a fast and agile butterfly, on sunny days it is always on the move stopping occasionally to nectar or rest to sun bathe on the tallest plant stems. During periods of prolonged cloud cover or showery weather the butterflies may climb right down in amongst lower grass stems sometimes completely hidden from view, reappearing as if from nowhere when the sun returns. The Dark Green Fritillary seen from above is similar in appearance to the much rarer High Brown Fritillary, the Dark Green Fritillary having only plain silver spots and a green underside on the hind-wing.